Brazil, South America (February 9, 2017) – Religious network TV Verdade (Truth TV) began transmission of its 24/7 channel in high definition (HD) quality for its growing household viewers in North, Central and South America since December last year. Known for its slogan, “Solamente La Verdad” (Nothing But the Truth), TV Verdade is a free-to-air channel and home of Bro. Eli Soriano-hosted “O Caminho Antigo,” the Portuguese counterpart of Ang Dating Daan (The Old Path). TV Verdade also airs Pergunte ao Irmão Eli Soriano A Bíblia Responderá, the counterpart of the segment Itanong Mo Kay Soriano, Biblia ang Sasagot of Ang Dating Daan where Bro. Eli answers impromptu questions of faith from the live audience. 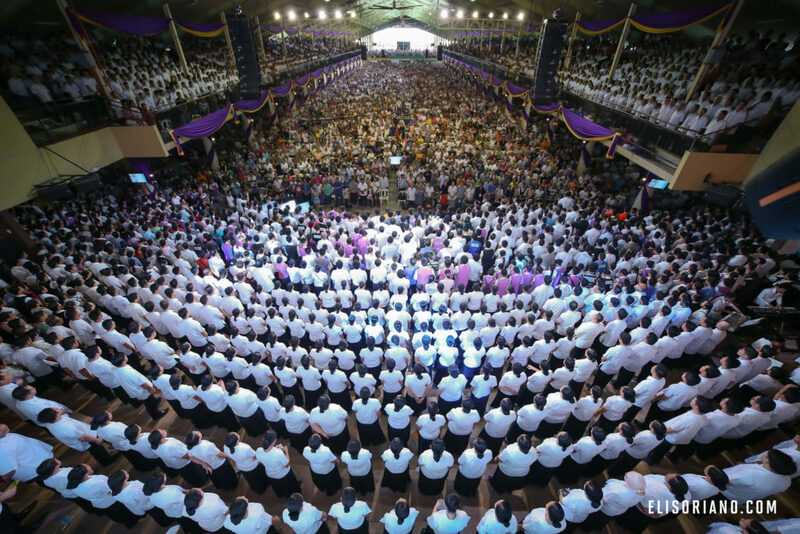 In the Philippines, Ang Dating Daan, the longest-running religious program there, is hosted by the international televangelist and veteran broadcaster Kuya Daniel Razon. The program, Pergunte ao Irmão Eli Soriano A Bíblia Responderá, is on screen via TV Verdade’s high-definition format. HD gives the audience exceptionally clear, crisp pictures with vivid colors and up to five times more detail than standard definition (SD). The new digital HD channel in Portuguese-language is distributed by SES-6 satellite. The Luxembourg-based satellite operator SES is currently the world’s leading HD television provider, with its fleet carrying 27% of all HD channels globally. Bro. Eli is seen live in a video streaming of O Caminho Antigo (The Old Path) Bible Exposition. MCGI aims to deliver premium quality viewing experience possible as it goes into full swing with its propagation efforts in the west as part of its mission to bring the gospel to all nations. TV Verdade recently completed the upgrade of its satellite systems in South America, as well as production facilities, including the acquisition of HD cameras, to comply with the requirements of Brazil’s Ministério das Comunicações or MiniCom (Ministry of Communications). MCGI’s switch in HD format is a requirement from local Brazilian TV networks where it acquired time slots. This aims to introduce O Caminho Antigo in cities where it does not have a relay station to reach more viewers. To receive TV Verdade HD for free, viewers need to connect their receivers to the SES-6 satellite at 40.5 degrees West by setting frequency to 4173 MHz (left polarization) and symbol rate (SR) to 5600 (FEC 2/3). It uses the DVB-S2 standard in C-Band and comes with improved sound and picture quality in MPEG-4 video format and 1080p resolution. A caption announcing the channel is already shown on its live broadcast. TV Verdade was launched in December 2009 in standard definition (SD) with a meek production set-up in a small garage transformed into a makeshift studio. TV Verdade’s SD channel is still available via StarOne-C2 satellite covering Central and South America. Other channels produced by MCGI are still in SD format such as “The Truth Channel” airing The Old Path for English-speaking countries and “TV La Verdad” which carries El Camino Antiguo for Spanish-speaking countries. Bro. Eli Soriano, Overall Servant to all Members Church of God International, preaches before the audience in South America during the biblical symposium called Bible Exposition. In 1980, he decided to launch a radio program and later on television supported by selling Filipino snack called “lumpia” (spring rolls) to pay for the airtime. Today, he is now actively preaching the gospel in the west. Even with his old age, Bro. Eli’s zealousness in preaching the undefiled words of God as written in the Bible did not fade away. The Filipino preacher, who turns 70 on April 7 this year, actively conducts live Bible Expositions every day in different cities in Brazil, where guests can personally ask their questions of faith and spirituality. With headquarters in the Philippines, MCGI has more than 1,360 satellite monitoring centers in different parts of the world. With the hope of bringing the gospel to all nations, MCGI embarked on a worldwide effort in propagating the gospel through mass media and modern technology. TV Verdade currently rolls out its network of free-to-air relay stations for a 24/7 non-stop broadcast. Today, it has more than 30 UHF stations on-air in different cities in Brazil. Meanwhile, MCGI has established more than 200 local congregations in Brazil alone as of end of 2016. MCGI’s Portuguese programs can also be viewed via live streaming through its official website www.ocaminhoantigo.tv, and by downloading the MCGI Broadcast app, free on Android and Apple devices. The group, which is known in Brazil as Membros da Igreja de Deus Internacional (MIDI), is giving away free copies of DVDs and Bibles to the public. The church does not accept any monetary contribution from non-members.